Meet the lovely host Jack, who will take you on a perfect journey to his luminous world of crystals. These crystals are as precious as it sounds. 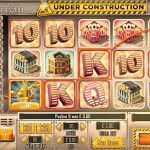 This fun and exciting slot game will feature 5 spinning reels and 25 paylines of underground mining magic. Once you come to Jack, you’ll never come back. 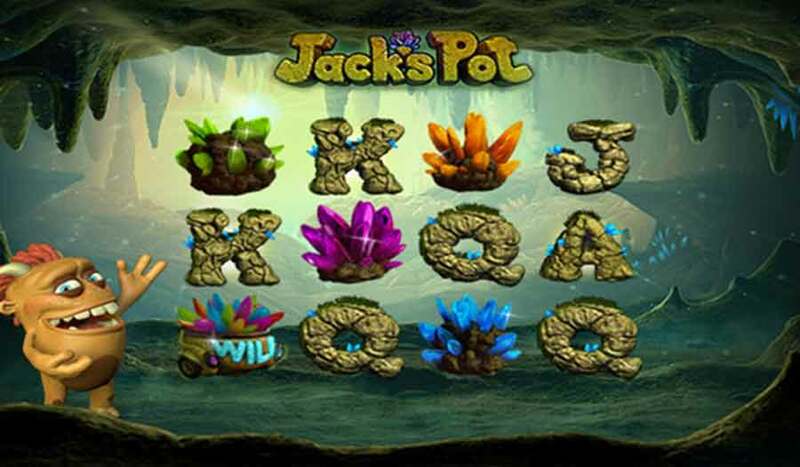 Jack’s Pot is waiting for you with full of surprises and crystals shining in every corner. The giant jackpot can’t wait to be triggered. Jack’s Pot is amazing in any way. You can just win one of those jackpot, or even all 3 of them combined. The happy face of Jack will sure bring the happiness to anyone. Our professional designers provide you a perfectly colorful and captivating game, with 3D effect and real sounds, you’ll feel like you are in an actual mining area. Bets can go from 0.01 to 10.00 and autoplay feature is available. 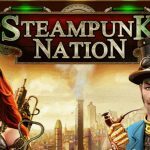 3 Progressive Jackpots – win one or ALL combined! Precious crystals and cave inspired spinning reels are all this game about. 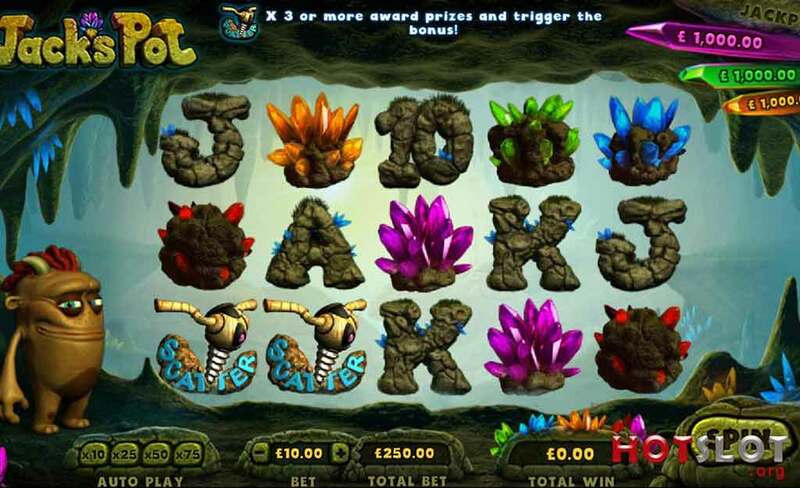 Trigger the Crystal Rock Bonus with 3 or more scatter symbols, in which you will have 8-10 free spins. Grant the Sticky Amber Wilds during free spins. This amazing feature can present a choice of 4 sparkling crystals. Pick one of them and it will reveal your prize, so make generous choice. Don’t forget Crystal Jackpot feature which is triggered randomly and shows 4 sparkling crystals. There are 3 jackpots, they will bring you the biggest imaginable prize. Jackpots are always represents according to its gamestone’s value. Ruby is the highest, then emerald and lowest is topaz. Even the smallest jackpot is enough to turn you into a millionaire. A lot of our players changed their life only after 1 night. Come enjoy our Jack’s Pot right now! 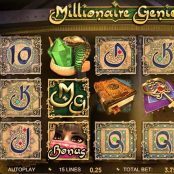 Gogbetsg offers free spins and bonuses for new account open. There are a bunch of precious crystals down there waiting for you. The massive jackpot is unimaginable. Diamonds Delight, its name means everything. It all about those precious jewelries, so as its giant jackpot. 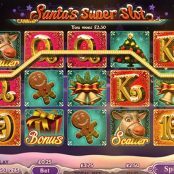 This game has too much to offer comparing to other online slot game machines, those includes Mega Jackpot combos and Respins. Good news! 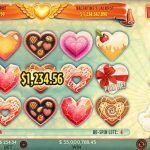 This online slots game has not only one but TWO massive jackpots for you to win, which are so-called Diamonds Jackpot and Jewels Jackpot. Feature 1-5 combination, Diamonds Delight is unique in many ways. Hope on the ship of Diamonds Delights to the world of fantasy, where you’ll find shiny and valuable little things. Many incredible features like pretty jewels will hook you from the very beginning. Mimimum bet is $0.25 and maximum is $250 on PC and mobile. Autoplay option up to 75 spins is also available to help you relax while waiting for the best prize. This game is hard for any players to keep an eye off. We can be sure that there is no other games out there has artistic features like this game. Winning is on 1-5 combination, not paylines. Icon combination pays are everywhere in the wheels, in any direction, which is hard for you not to win. The most special part is a Super combo, which appears when 2 combo win appear in 1 round (then activate a free spin). A Mega combo is activated when 3 combo wins appear in 1 round (then trigger 2 free spins). A Super Mega combo is when 4 and more win a appear in 1 round (activates 3 free spins). So choose maximum paylines will definitely help with those features. The most interesting feature is ‘Pick Me’, which is awarded when Pickme symbol appear anywhere in the reel. You just simply pick one of the symbols to reaveal your amazing prize. This game has not only 1 but 2 Progressive Jackpots for you to discover! the ‘Diamonds Jackpot’ and ‘Jewels Jackpots’ can either be the key to your dream. There is only one way to find out, start to game right now at gogbetsg. Get ready for serious diamonds actions and enjoy free account bonus from Gogbetsg.com!